Step Buy Step Out Now on iPhone! – Zombies, Run! Step Buy Step Out Now on iPhone! It’s that time of the week again, everyone. 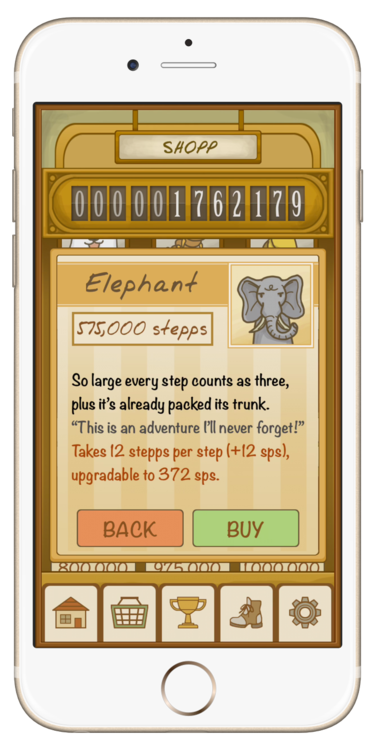 Time for a brand new release in our Winter of Workouts and it’s a real doozy this time: Step Buy Step: A Pedometer Adventure is now available on iOS. What’s Step Buy Step? Only the greatest Pedometer Adventure Game in history. Only the cutest collection of animal walking companions this side of The Animals of Farthing Wood. Only the perfect symbiosis of Cookie-Clicker style gameplay, fitness and story. Step Buy Step turns all your everyday walking into an adventure. We track your steps and turn them into Stepps – our magical currency. You’ll use this currency to expand your caravan of cute and cuddly companions. Every animal adventurer who joins you on your quest will increase how many Stepps you earn for every step you take, until you’re crossing entire countries in a single stride! 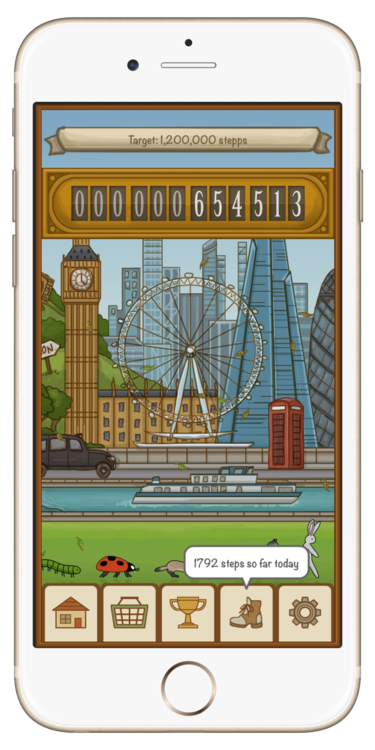 With five exciting challenges, gorgeous graphics by artist Estee Chan and more zoological puns than you can shake a stick insect at, Step Buy Step is the only pedometer you need and the greatest ambulatory adventure you’ll ever have. Previous Post Give the Gift (Certificate) of Zombies, Run!